WASHINGTON — One stretch of highway in the D.C. area has been rated as the worst “traffic hot spot” in the entire nation. What you could do with a week’s worth of commute time! The back to school grind has started again and that means we’re back to our regular commutes in DC. At second longest in the nation, the average round trip commute here is 64 minutes. Multiply that times five days a week and that’s 320 minutes each week spent in our cars. Here’s a look at some things you can do with a week’s worth of commuting! Interstate 95 South in Virginia between Newington and Fredericksburg received the dubious distinction from the traffic data company INRIX. 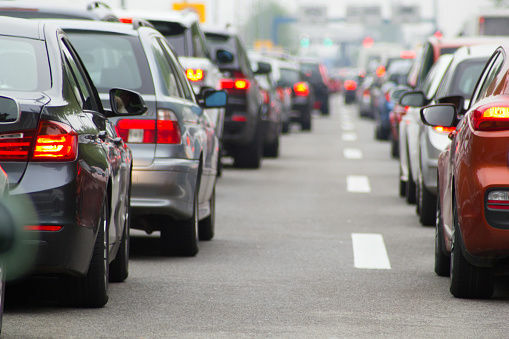 Its rankings factor in the number of traffic jams in an area, the average number of minutes they last and the average maximum length of the backup in miles. Those numbers are then used to estimate the congestion’s cost to drivers for things such as wasted fuel and lost time. Delays on this stretch of I-95 South would cost drivers an estimated $2.3 billion over the next 10 years if conditions do not improve. Researchers observed nearly 1,400 traffic jams there over a two-month period, with an average duration of 33 minutes and an average maximum length of nearly 6.5 miles. WTOP traffic reporter Jack Taylor said it’s the result of too many drivers having too few options and that complications such as crashes and sun glare can make a bad situation even worse. “With it being such a fragile system to ride on anyway, you do turn it into the potential for major delays,” Taylor said. However, leaders have said there are projects underway to ease the congestion, starting with an Express Lanes extension. 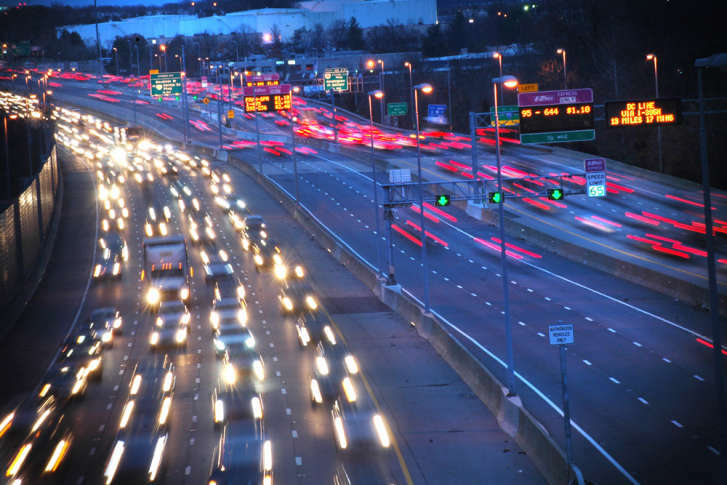 The D.C. area also had two other stretches of road among the nation’s top 10 traffic hot spots. I-95 North in Virginia at Garrisonville Road came in at No. 7. “That’s where you open up into those Express Lanes. So you get, as we call them, the ‘decision makers,’’’ who, Taylor said, slow down as they consider whether they should take the toll lanes. That stretch would cost drivers $1.1 billion over the next decade if no improvements were made. A part of the Inner Loop of the Capital Beltway in Maryland, between Kenilworth Avenue and St. Barnabas Road in Prince George’s County, came in at No. 9. It would also cost drivers $1.1 billion over a decade. The study found the D.C. area to be the third most impacted by traffic, behind only Los Angeles and New York.